All this talk about Project-based Learning (PBL) got us thinking . . . Why pursue inquiry-based instruction if students might learn less content than when taught in a conventional way? We contend that any content that students address is readily available with any internet search engine. Any and all content can be “Googled”, thus, it may not have the same urgency of mastery as the element of inquiry-based instruction that teaches the most relevant processing skills for the deep understanding needed for complex problem solving. While the content is often the focus of inspiration, igniting student motivation, and, as stated earlier, an explicit focus on the process skills of inquiry learning must also take center stage, because this model puts the responsibility for learning squarely on students’ shoulders. They must know how to generate, organize, analyze, infer, and draw conclusions well, if they are to become experts in the problem-based learning curriculum of 21st century learning and living. The book Everyday Problem-based learning: Quick Projects to Build Problem Solving Fluency focuses on the everyday classroom application of inquiry-based learning and it provides a pathway for teachers to incorporate the essential elements of inquiry-based learning within the parameters of a single class period or an individual lesson. First, a question for the reader: What is inquiry-based instruction? The term is used throughout the book to refer to any instruction that has the following elements: an essential or a driving question, open-ended solutions, and learning challenges that students encounter as they try to solve complex problems. Traditional models of instruction assume that students must master content before applying what they’ve learned to solve a problem. Problem- based learning (PBL) reverses that order and assumes that students will master content while solving a meaningful problem. The problem to be solved should be engaging, and at the same time, it should address the curricular issues required by the curriculum. The problem provides the purpose for learning the content, and the content becomes the vehicle that carries valued life skills. Both content and process are on equal ground as students learn such rigorous skills as thinking, organizing, collaborating, and communicating across various disciplinary areas. Interested in learning more about Everyday Problem-based learning: Quick Projects to Build Problem Solving Fluency? Give it a go! keeps on giving; that prepares students for the test of life. There is no gift as precious as the gift of metacognition. can solve their own problems. the gift of knowing what to do, when they don’t know what to do. not so much on the right answer-side of getting by. and think about what they are going, how it’s going and what to do next. the neglected skill of reflection, mindfulness for student success. quick-win strategies to rigorously think through their own challenges. How do we prepare youngsters for the test of life? We teach them how to learn when they are not being taught. In other words, we give them the gift of self-reflection, self-awareness, self-initiative, self-direction, self-assessment and self-regulation . . . as well as the gift of knowing when they know and when they don’t know. Written with the teachers in mind. It is by far, more practical than theoretical, but most definitely grounded in research findings and connected to emergent data. With the 30 ready-to-use strategies in this book, teachers are introduced to or reminded of, the metacognitive strategies that deepen learning through explicit reflection for student planning, monitoring and evaluating their work. At the same time, as students learn how to “think about their own thinking,” they become more aware and thus, better able to make the needed adjustments on their own. They gain a sense of ownership and teachers get the results they count on through student empowerment. Metacognition is like magic for 21st Century classrooms. It changes student behaviors before your eyes and enhances their journey for success. One of the most effective strategies to engage students in their own learning is modeling metacognition. This “thinking about one’s thinking” uncovers personalized feedback to the student. By modeling reflections on students’ work, students soon learn that their own reflective adjustments are what matters most as they grow and progress in their awareness of their own learning. They soon learn to use self-feedback techniques to scrutinize their own work. In the process of becoming more reflective about their learning, students also understand that feedback isn’t about what’s wrong—it’s about what’s next. With that in mind, there are many facets that guide the feedback flow for metacognitive reflection for appraising and improving student work. Engaging students with feedback begins with teacher observations about what occurs in the teaching and learning process. That said, to know that the feedback flow actually is a two-way flow is significant. Stiggins, 2009; Wiliam, 2011, and Fogarty & Kerns, 2009, write richly about instructional opportunities to optimize feedback from students. They encourage teachers to pay close attention to the endless flow of student work samples, dialogues, peer conversations, homework, and routine instructional tasks. These constitute genuine feedback, cues, and clues about students’ learning. Truly, the observant teacher can glean much relevant data from students, as evidence of their learning. The other notable way that feedback flows, of course, is the flow of finely-crafted teacher comments, hints, and suggestions to the students (Hatti, 2003; Hattie, & Templay, 2007). Carefully providing feedback that is immediate, specific, relevant, and actionable is intended to move the students along. Yet, what seems most pertinent in this discussion is that the feedback comes from students to teachers and to students from teachers. This is that continuous, two-way back and forth between students and teachers and it’s how the magic of independent learning happens. It’s how the learning journey toward improvement and perfection is orchestrated in effective instructional scenarios. It’s how a sense of student agency develops. HOW DO WE GET FEEDBACK FROM STUDENTS? Feedback from students embraces the power and productivity of formative assessments during the course of normal instruction, and allows for endless customizations to student learning. With routine, everyday feedback information gleaned from those deliberate, common learning tasks (work samples, class participation, and specific signaling strategies) that occur throughout the day, teachers can make decisions that truly personalize learning. In fact, as teachers become aware of the power of optimizing student feedback, they realize that opportunities abound for insightful, metacognitive reflection as students interact in dialogues, small group conversations, and whole group discussions. Finally, there is evidence of rigorous feedback from kids as their thoughts are revealed in deliberate strategies including talk-alouds, problem-solving, and item analysis work-throughs. HOW DO WE GIVE FEEDBACK TO STUDENTS? 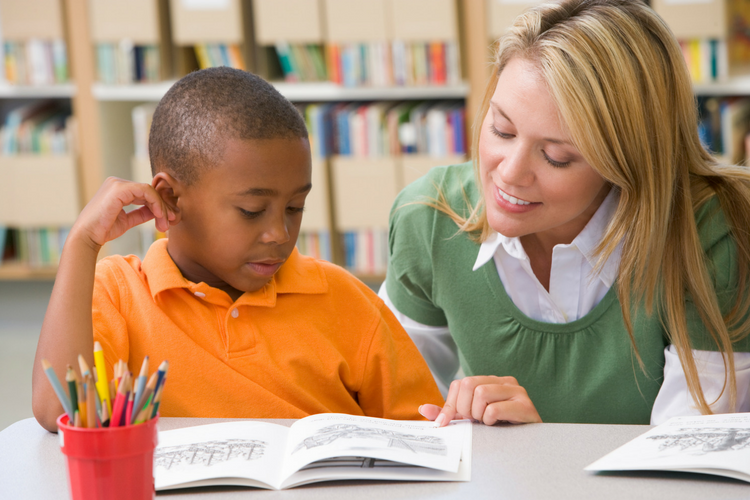 Feedback explicitly flowing to students before, during, or following a learning session or work time, is determined most frequently, by the teacher. Yet peer feedback, partner back-and-forths, and even trios with a reflective observer in the group often can provide viable and useful coaching tips, hints, and clarifications to allow that student to continue on his way. As a result, students can be more effective and can develop a surefootedness, boosted by that emerging self-confidence. This feedback to students is best done in a coaching way, not in a correcting way. That’s how students become empowered in their own right to take responsibility for correcting their work. Feedback informs and gives students control over their own learning. Five strategies from a treasure trove of known and unknown, yet-to-be-invented feedback tactics illustrate how feedback in theory is transformed into feedback in practice. These examples can be woven into routine classroom interactions and are easily tweaked for elementary, middle, and secondary classes. 2. Easy as 1,2,3! Revisit, Question, Illuminate. Teacher feedback enhances performance achievement. Ask yourself, and name what has worked in the past? Scheme. Ask a friend what s/he has used before? Scheme again. Ask one more person for input. Then rank the three ideas and move on. Over-time, teachers can “feed” feedback strategies to students to ensure that metacognitive reflection becomes a part of the teaching and learning process. This attention to metacognition and customary, personalized, reflective thinking may well mark the subtle, yet, measureable distance between effective and highly effective teachers. The strategies themselves are the practical tools for infusing personal, relevant feedback to teachers and to students. The essence of feedback as a verifiable and reliable strategy in the k12 classroom is more about the actual, student to teacher and teacher to student interactions. Staying connected, interested, and involved in student/teacher ongoing efforts allows critical information to be shared. In sum, teachers capturing and responding to feedback from students optimizes cues and clues about student learning, while feedback to the student, based on the teacher’s informed observations, inferences, and decisions, maximizes learning for the students. This continuous flow of feedback information on our two-street fosters personalized learning models. The Economist: What Works at What Cost? Effectiveness and Cost of Education Strategies. EEF EducEndowFound. (June 9, 2016; Feb 8, 2018). Australian Council for Educational Research, October 2003. Jackson, R. (2017). The Anatomy of Good Feedback. Mindsteps, Inc.
Kerns, G. .2018. 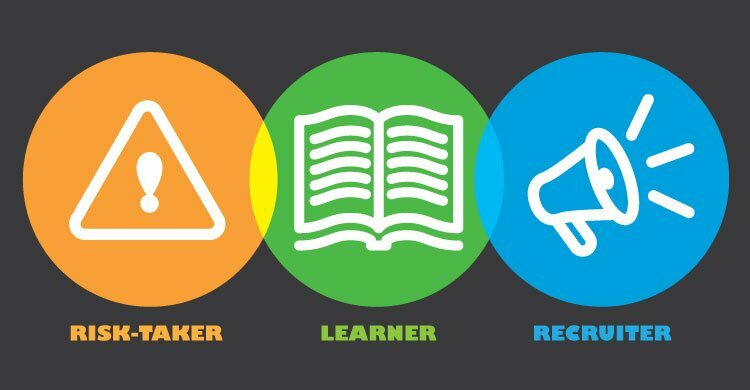 Personalized Learning: White Paper. WI : Renaissance Learning. Wiliam, D. 2009. Embedded Formative Assessments. Melbourne, AU: Hawker Brownlow Education. Becoming an edupreneur requires the dusting off of three dispositions of our younger selves. These are three postures that made many of us fearless warriors in the education arena, taking on every challenge we faced with energy, enthusiasm, and most of all, eagerness. We owe this gift of an edupreneur’s approach to our remarkably able student body, who are trying hard not to—but most definitely are—leaving us behind. They move along at lightning speed in every aspect of their notable generation. They know how to connect, like no other generation, with the tech tools and a deepened sense of humanity at their disposal. They prefer collegial endeavors, inventing the concept of collaborative teaming up with inventive ideas that spread like wildfire: the flash mob, the massive march on Washington, instant trends with amazing apps developed by ten-year-olds. Yet they balance schedules packed with organized events with their own space—downtime, peer time, and self-only time—and still manage to maintain respectable academic records. So, in spite of lame rumors to the contrary about millennials, the young people of this generation are rocking their world with innovations launched daily, record-breaking athletic feats in every possible arena, ambassadorships throughout the world, and taking on the roles of troubleshooting activists already advocating for a better, safer, more human society. Based on Wilson’s perceptions, the following discussion is enhanced with additional insights to illuminate the depth of these predictive observations. For the eager teachers, aspiring leaders, and recruiting educators, the ideal hire may require a very different bar of exceptionalism, just as “Google Hires” has discovered (Friedman, 2014) in screening candidates for their company. Their mention of intellectual humility and stepping in or stepping up when needed give a flavor of the kind of soft skills that rise to the call for star hires. The ones able to step outside their comfort zone, the early adopters of change in digital-rich classrooms, conference spaces, presentation halls, and outside of the brick-and-mortar school will be in demand. Embracing change, not as simple as it sounds, is a key trait we must cultivate in a modern school culture. Look for the ones who welcome that newly assigned classroom, even though it’s small, or dig in earnestly to the adaptable curriculum, invite the incoming principal into their room, welcome the constant stream of new instructional software, and make time for that new kid who shows up five weeks into the term. Look for those who model an active curiosity, questioning everything and offering their own devised answers. Remember, “Kids are born as question marks and leave school periods,” according to Neil Postman (1969). How do we retool our values of conformity and compliance and honor the risk-takers willing and able to upset the apple cart? Are we ready for this kind of sweeping change? Knowing those genuine learners, celebrating their code of honor as lifelong learners, this habit of mind is authentic and somewhat rarer than one might think. Revisiting Toffler’s prophetic statement, “The illiterate of the 21st Century will not be those who cannot read and write, but those who cannot learn, unlearn, and relearn” (1970) seems particularly relevant. Thinking about Wilson’s (2014) list of traits of the modern learner, they often actually run toward their area of weakness, not away from it. They show up as the techno-wannabe, the novice volunteer for the spring competition day—and, best of all, they are not afraid to ask for help. They believe they can learn anything, when they adopt the right attitude and put in the needed effort. Lifelong learners see themselves as co-learners in the classroom, and they move easily into their students’ world, even if it’s foreign territory. In fact, these dedicated learners, as modern teachers, see life as their classroom and learn along with the kids, as well as learning from the students who are experts in an area, when the teacher admittedly is not. This lifelong learner does not shy away from the new, the unknown, and the yet to be fully developed. They jump in and take it from where it is and where they are, and somehow find ways to tackle the mysteries and move confidently forward. These are the dauntless learners who enjoy the journey as much or more that the destination, presenting a picture of the learner, not just seeking the right answer and calling it done, but sincerely enjoying the serendipities of the learning experience. They are unwavering advocates and do not wait till they’re experts to introduce something; they just do it, modeling an envied resiliency and persistence that is admirable. Wilson’s prediction (2014) about modern-day teachers alludes to an innate level of salesmanship that exudes confidence with their strength and belief in what they are doing. Persevering recruiters take risks as pioneers and early adopters, yet they feel secure asking for help from colleagues and are continually persuading others to come on board. They understand the hard work required to develop expertise and the stubbornness needed to keep going when the challenge is hard. When people are not afraid of failing, they are free to take risks, assume the stance of lifelong learners, and persevere in recruiting others into the realm of becoming a modern forward-thinking educator. As we feel the sense of urgency to think about teaching in a radically transforming way, in this radically transforming world, it will serve us well to embrace the skills and most of all the spirit of these proactive, productive, and philosophically daring habits of mind. This is how one discovers the power the modern teacher has to empower students to new and perhaps unforeseen heights. Byant, A. June 19, 2013. New York Times. “Adapted for this exercise… Corner Office: Laszlo Bock.” In Head-Hunting, Big Data May Not Be Such a Big Deal. Postman, N. and C. Weingardner. 1969. Teaching as a Subversive Activity. New York: Penguin Education. Toffler, A. 1977. Future Shock. Wilson, R. (2014) “Wayfaring Path: Profiles of a Modern Teacher.” https://twitter.com/wayfaringpath/status/521996611719688192?lang=en.